Aquarius has worked in partnership with Weedfree for several years on private and heritage railways across the country. This year our Rail Truck has already been deployed on weed control projects on heritage railway at East Lancashire and Central Railway in Loughborough. More work is planned in a couple of weeks for Manchester Metro. Using a Rail Truck and Weedfree’s specially designed weed system is a much safer, faster and convenient than hand spraying methods. With plenty of space for water and treatment tanks in the pick up body of the Aquarius’ J class Rail Truck it is ideal for weed spraying. The spray booms are fitted to the back of the vehicle and are operated via electric controls in the Rail Truck cab enabling specific treatment to the 4 foot and 6 foot cess at either side. The vehicle travels at a speed of 13 mph allowing work to be completed efficiently with up to four and a half miles of track being treated in one journey. 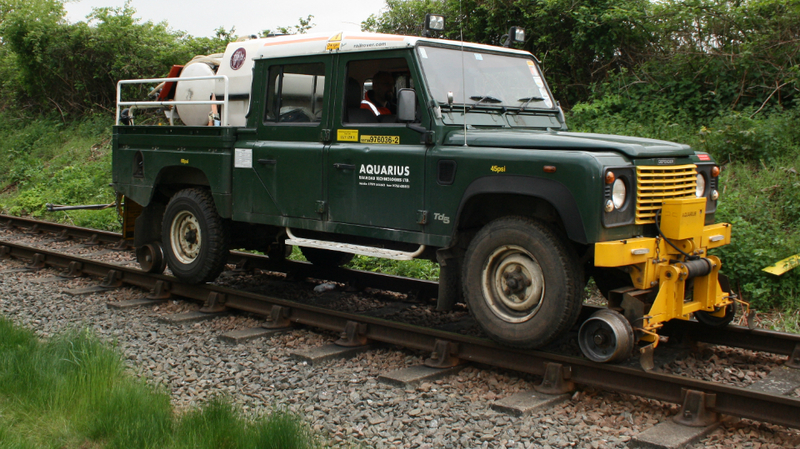 The Aquarius Rail Canter has also been utilised on larger weed control projects. Visit the Weedfree website to see the case study.